Patriotic celebration of Independence Day is a longstanding tradition encouraging citizens to celebrate the unity of our great nation, and honor the individuals, organizations and agencies that have assisted our nation in remaining free. In this spirit, NASW-NC honors our service members, veterans, military families and social workers for offering their lives, time, and professional focus to protect our freedom and serve our troops. 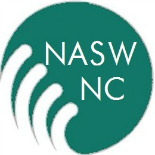 North Carolina Social Work Members are invited to engage in NASW-NC opportunities to assist them in serving the military population. We provide communication networks, continuing education opportunities and advocacy. In addition, NASW-NC compiled a list of social work resources to assist the social work member who has served, serves or assists the military and veteran populations. Click here to access the resource list! This entry was posted on July 3, 2012 by naswnc in Membership.